Requests Feed 1,000 mm/min to guarantee the daily productivity and a minimum of 1,500-1,800 holes per drill. Remark With the drills of the competition, the customer could not guarantee his productivity. 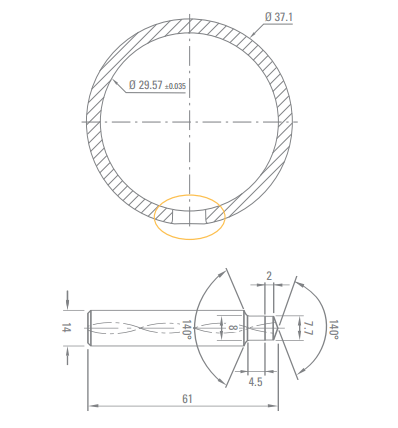 With the DIXI tool, the requests were respected as well for cycle time as for tool life.